For decades, communities in Vermont and New Hampshire have welcomed refugee families displaced from their homeland by war, natural disasters or political instability. These New Americans face many challenges as they work to assimilate into their new communities: language barriers, discrimination, lack of employment, and more. Luckily, several government and non-profit organizations provide resources to help ease this population’s transition into American life. CLiF often partners with these organizations to provide literacy programming for refugee children, who often struggle to keep up with native English speakers in school. Lutheran Social Services of Concord, NH, has a New American division that specifically addresses the needs of refugee and immigrant families in the Concord area. 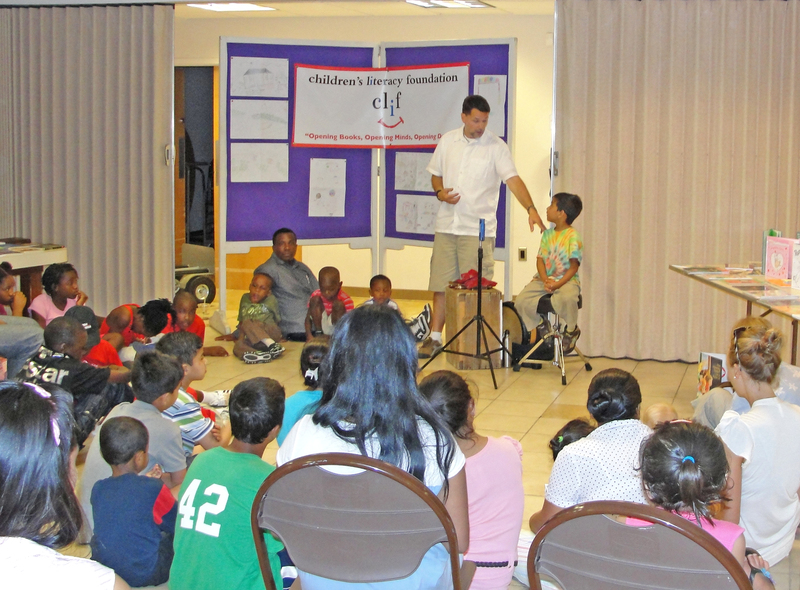 Simon Brooks, storyteller extraordinaire, recently visited a CLiF event hosted by Lutheran Social Services, the recipient of a CLiF At-Risk Grant. 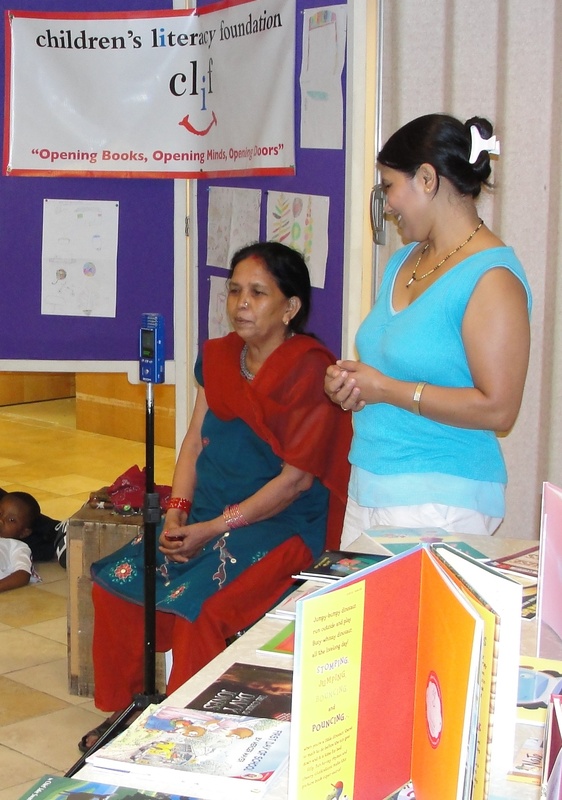 The grant entitled them to a storytelling event, book giveaway, and $2,000 worth of new books for their onsite library. Coordinator Kerstin Ahlgren arranged a wonderful afternoon of storytelling, which featured Simon, Bhutanese storyteller Mon Maya, and two refugee children. Interpreters were on hand to translate Simon’s retelling of Goldilocks and the Three Bears into a variety of languages. Bhutanese elder Mon Maya also had the kids rolling in the aisles with her story, “The Jackal and the Bear.” As she told the story in her native Bhutanese, a young interpreter struggled to keep a straight face, as the storyline involved the bear battling a terrible case of diarrhea! “[Although not totally appropriate for the crowd], it was funny to watch a very dignified older woman in her beautiful traditional dress telling such a story,” Kerstin said. Simon invited two youngsters up to share stories as well. One young storyteller offered a folk tale from Eastern Europe. Simon praised him, saying, “He did a great job telling the folk tale. He was a natural and it was great to see that unfold.” The other child improvised a story about he and a friend who ate magical cafeteria pizza and developed superpowers! 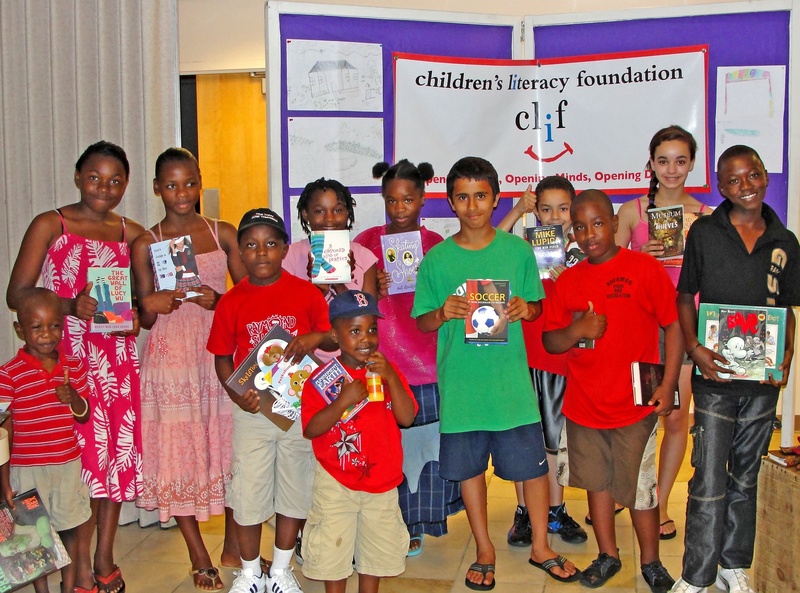 This CLiF event offered a unique window for these children to share and learn from one another. Thank you Simon and Kerstin!